Luxury Estate with approx. 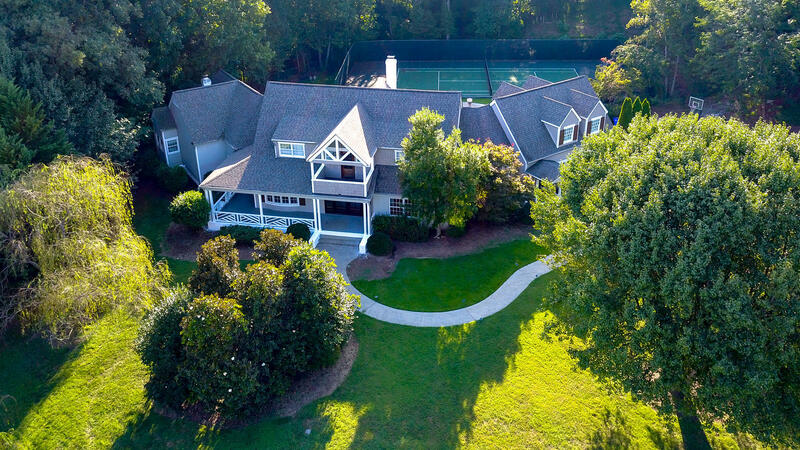 4.35 acres, inground pool, outdoor kitchen, tennis court, private gated entrance. The main level features open living to the beautiful grounds, master bedroom with large bath & sun room, living room, formal dining and 2 large family rooms, wet bar. Upper level has 3 additional bedrooms each with a private bath, bonus/exercise room and balcony view of pool, grounds & tennis court. This home is a relaxing family home with great space for friends, entertaining & enjoyment of the luxury lifestyle.